CLEVELAND -- Two city workers thought something was amiss when they saw five children getting into the back of a U-Haul truck at a gas station. They stopped the driver from leaving and called 911. Elyria police and firefighters arrived Wednesday afternoon and found the children, ranging in age from 2 to 15, soaked with sweat, infested with lice and covered with flea and bedbug bites. A woman who described herself as the children's godmother was in the back of the U-Haul being driven by a 55-year-old man. Her fiance was a passenger in the truck's cab. The woman, 25-year-old Jamie Adkins, explained to officers that she had been caring for the four younger children the last two weeks and that they had left Cleveland early that morning to travel to a flea market in Amherst, a city in Lorain County near Elyria. Adkins said she had called the children's mother, who hadn't seen them for two weeks, and had told her where they were going and how they'd be getting there. Adkins told police the mother said she hoped the kids "would have fun." The 2-year-old, a boy, was taken to an Elyria medical center and then flown to a children's hospital in Cleveland to be treated for heat exhaustion. Elyria is about 30 miles (48 kilometers) west of downtown Cleveland. 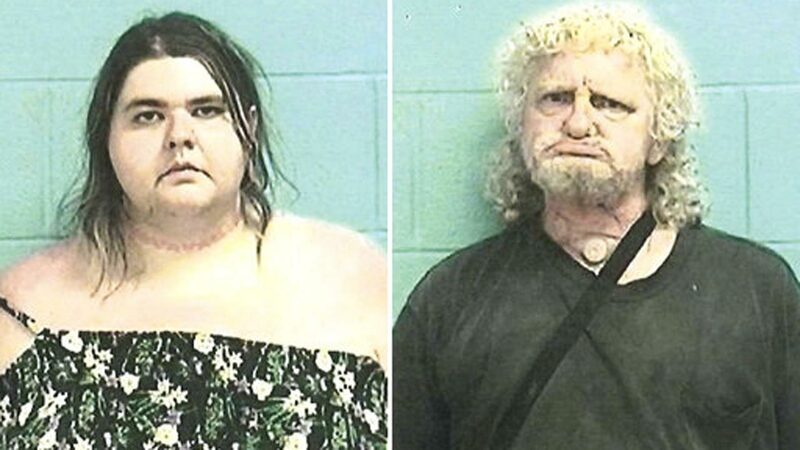 Adkins and the U-Haul driver, 55-year-old Brian Dekam, both Cleveland residents, were taken into custody and charged with multiple counts of child endangering. They were eventually released for medical reasons, police said. Court records don't indicate whether they have attorneys. The four older children, ages 3, 4, 6 and 15, have been placed in foster care in Cuyahoga County, which includes Cleveland. The 2-year-old also will be placed in county custody after leaving the hospital. Elyria police Capt. Chris Constantino on Friday called the two city workers heroes for having "intervened in the right way." He said the 2-year-old was bright red, nonresponsive and in "serious medical duress" on a day when temperatures rose above 80 degrees. "If they hadn't taken action, it could have been tragic," Constantino said.